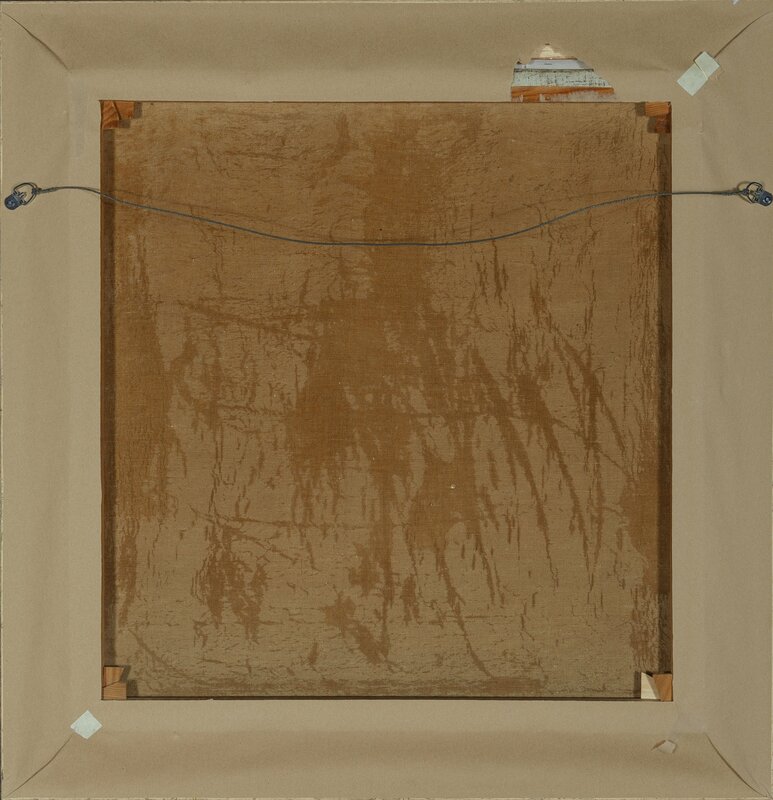 Verso: Papered over back cut away to examine back of canvas. – Heritage Auctions, Inc. [1976- ], Dallas, TX, online sale catalog, “Signature Floor Session: Lots 68001-68151”, November 12, 2016, lot #68086, illustrated: color. 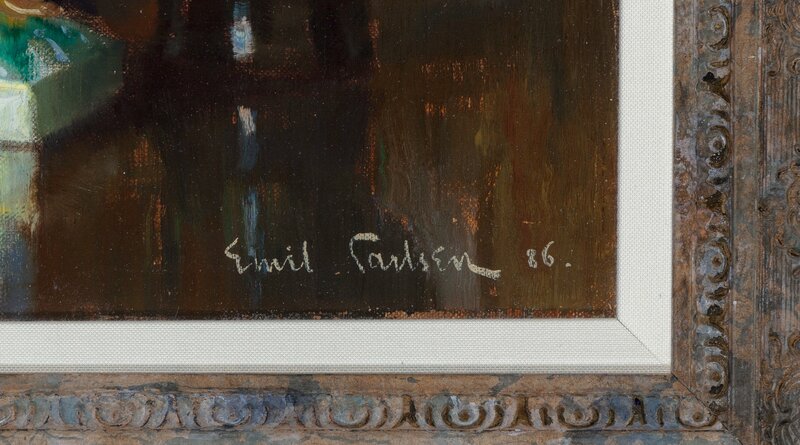 – This painting is unusual for Carlsen and that there is no provenance makes it suspect. 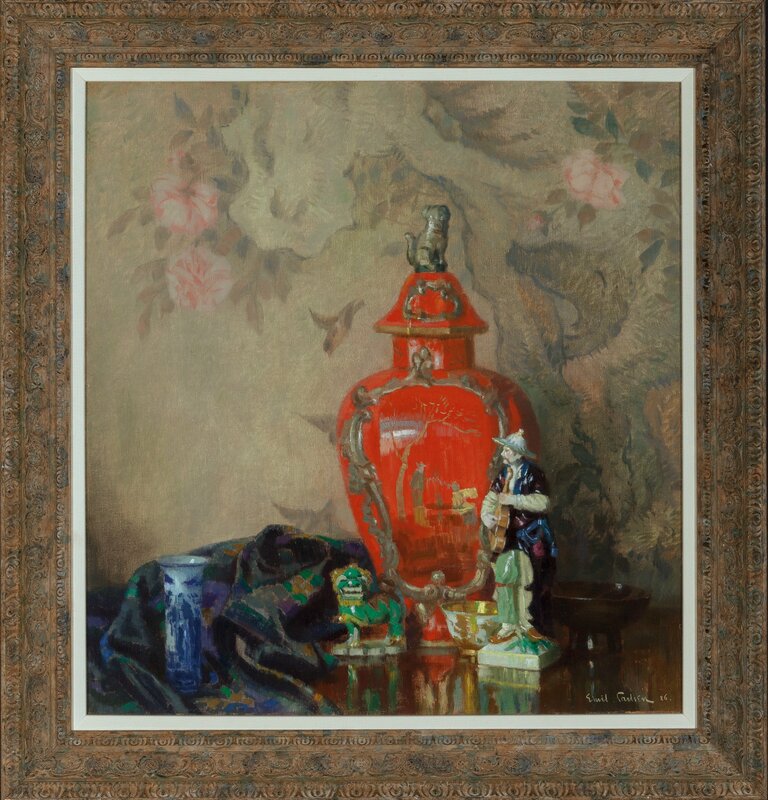 – Condition Report: Unlined canvas; faint craquelure and minor stretcher bar marks; frame wear with evidence of rubbing in lower right corner; under UV light, there appears to be a small spot of in-painting to the left of the urn.